Outsourcing is becoming a new thing in business. But lots of people don’t know what it is and how much benefit you can get from outsourcing for the business. If you are owner of some company then it is very important to understand the whole process of outsourcing and create your own outsourcing department. 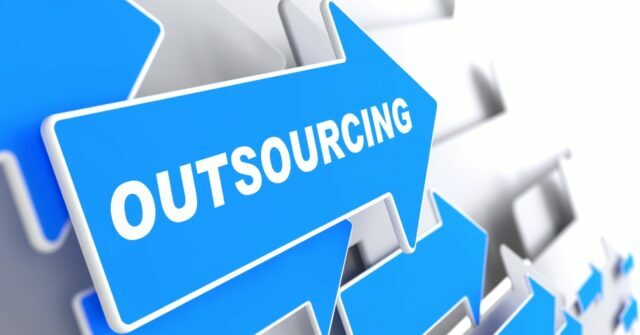 Outsourcing is also called Business Process Outsourcing (BPO) and it can be defined as a process where some company hires other company or individual people in some country to handle all of their activities. In that way company can get some skills or services that would be hard to find on some usual way. That helps company to improve the overall efficiency and to cut costs of some areas. And that’s exactly why lots of companies use outsourcing. Customer support. This is probably the obvious choice. Companies like to cut their costs by transferring their call center to some other country where they will have to pay less money to employees. Countries used most often are India and Philippines. But there can be a lot of problems with outsourced call center because sometimes employees from those countries speak weird English or simply can’t understand the people and figure out their problem. Accounting. Another widely used area in outsourcing is accounting. Companies like to train overseas workers and help them to learn all the financial standards and statements in their own country so it’s much easier and cheaper to do all the work correctly. Web design. For web design people have to be very creative and skillful but it is still one of the business area that is outsourced very often. Lots of people from different countries often have very good design skills and their services are often much cheaper and affordable. Programming. This is also one of the often outsourced tasks. It is always a good idea to give some small programming projects to outsourced teams because in most cases it will be good and cheap in the same time. But for larger project it can be better to give them to someone you know and trust rather than giving it to outsourced team. Manufacturing. This is probably the “most popular” outsourced task. Why? Because it is often seen all over the media. Big companies like to build factories and their buildings in other, less developed countries because workers are cheaper there and it is the best possible way to cut costs. Some people are working for really low money and there are lots of people and companies that are raising their voice against that. But still, manufacturing is one of the most often outsourced tasks. Data entry. It is much easier and cheaper to hire some outsourced team to do all the tasks related to data entry because those people will do the work perfectly, if given the right instructions and information. Those are just some areas of the company that can be outsourced. There are lots of other tasks like legal services, healthcare, engineering and lots of other that can be outsourced very effectively. But why to people do that? How can they benefit from outsourcing? It is easy to reduce cost of the complete business with outsourcing. I already mentioned that above with every task that can be outsourced because every time you do that process you are most probably cutting the cost of business, even if you weren’t planning to do that. The savings with outsourcing can rise to almost 60% if done right. And the services are often the same quality. Lots of outsourcing companies that can help you with that have lots of experience in that area and know what to do. They understand the job and people who do that and if you decide to have that kind of outsourcing partner it will probably lead to better efficiency and productivity of your company. It can be really expensive to find someone with specific skills and recruit them. 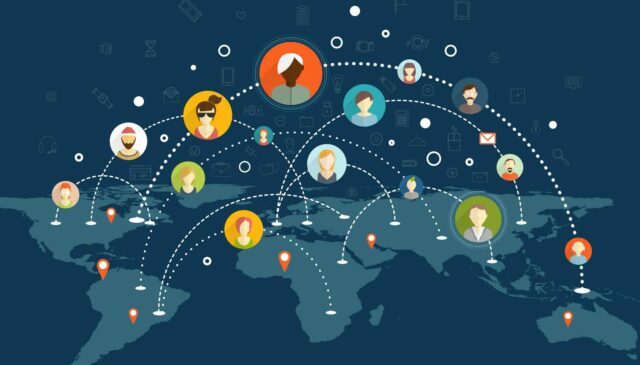 But with outsourcing that whole process is much easier because most of outsourcing partners have their own pool of people with lots of different skills. So it’s pretty easy to get all the skills you need for some project. Imagine that you send some instructions for project in the evening and go to sleep. And when you wake up in the morning the project is finished. That sounds nice, right? And with outsourcing it is possible because of time zones in different countries. There are also some other skills like lower risk, better concentration on different processes and some other. Even though the risk of doing a bad job on the project is smaller, the risk of exposing some important information or data to some other person not connected to your company is present and that situation is possible. Sometimes it is even impossible to avoid that so if you are in that kind of situation make sure that you trust the worker or outsourcing partner. Sometimes people make promises and brake them. And when you hire some outsourcing team to do some job for you they can say that they’ll finish everything in three days. And then don’t deliver it after three days but you already promised to customer that it’ll be finished. You and your company will be the one who will suffer the most. To avoid that try to pick a partner that is reliable and has a high level of trust. Lots of people in outsourced teams are actually freelancers who do all kinds of jobs. That means that they can’t actually focus on just one task because they have some other tasks to do too. That could lead to lack of focus towards your task and even though the task could be done right, it can always be better if the employee concentrates more on it. There are some other disadvantages like poor communication, poor quality of delivered task, wrong interpretation of the contract and similar. Did you know that in 2013 there were about 20 million of outsourced jobs? Most of times that job was manufacturing jobs with 53% of those outsourced jobs. About 43% of IT service jobs are outsourced and they are followed by research and development with 38%. About 26% of distribution jobs are outsourced and the list is closed with call or help centers with 12% outsourced jobs. And where are those jobs transferred? Two countries mostly used for outsourcing are India and Philippines with Bangalore, Mumbai and Delhi being the most used cities in India and Manila in Philippines. Always look for the best solution, even if it is more expensive. Always keep lines for communication open. Always agree with worker on your goals. Simply do what you do best and be better than anyone else. That’s it folks. If you want some more interesting information I suggest checking the infographic below. Enjoy!